It’s Leonardo da Vinci’s birthday. 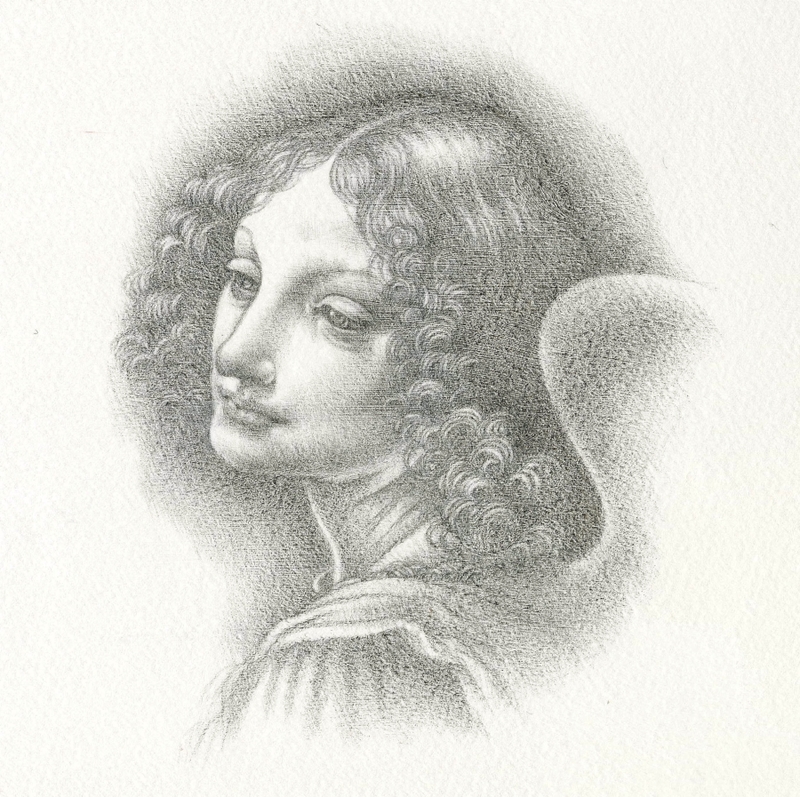 This copy of the angel from the ‘London version’ of his Virgin of the Rocks was drawn in 2012 in silverpoint. Silverpoint on gesso-coated paper, 115 x 110mm. The copy did not turn out to be quite an exact one and inevitably has something of my own in it. I very much enjoyed silverpoint, though I haven’t returned to the technique again since this drawing. Perhaps I should. This drawing now belongs in the collection of my friend and fellow artist, Claudia Hahn. I only just discovered that today is Draw a Bird Day, thanks to BBC Radio 3. 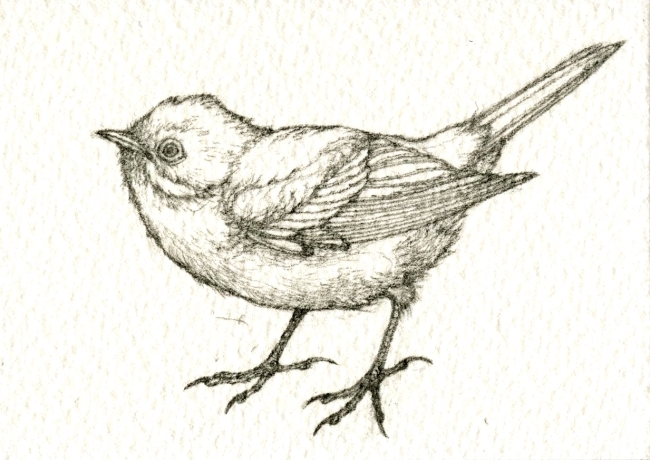 Here is a subalpine warbler I drew for the occasion. Pencil on Bockingford watercolour paper, 3.5 x 2.5 inches. I may change it to be perching eventually and paint it in, but this will do for now.